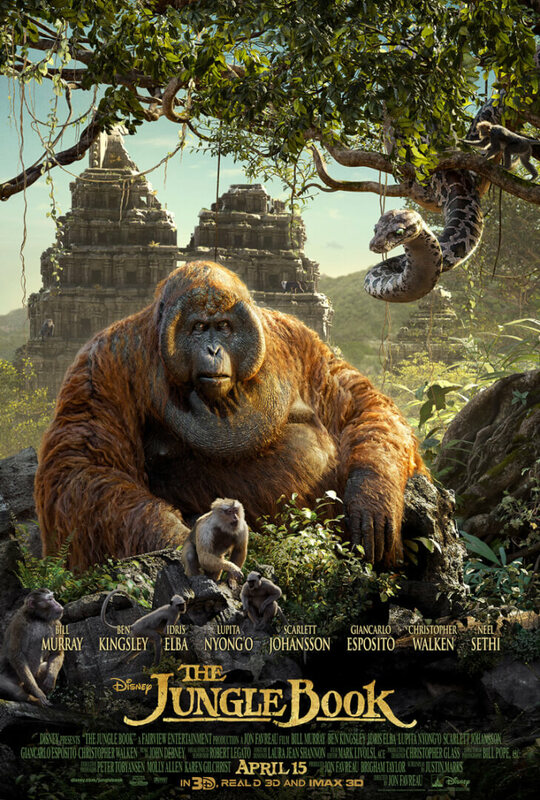 Disney’s live-action remake of “The Jungle Book” continue to pick up marketing steam ahead of its April 15 release in U.S. theaters. The studio released three separate movie posters this week before unveiling the full triptych movie poster that makes the movie “come to life” in its scope. With such an expansive canvas to work with, several characters are well-represented in the new poster. 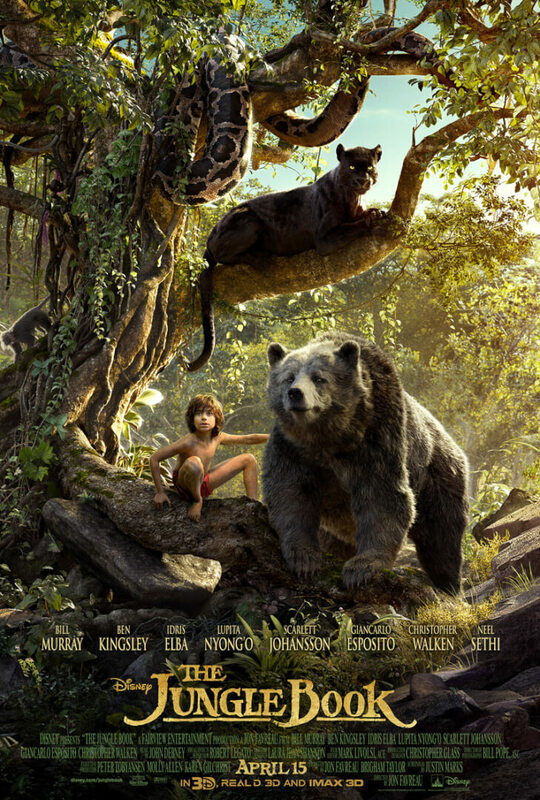 “The Jungle Book” is directed by Jon Favreau and stars newcomer Neel Seth. 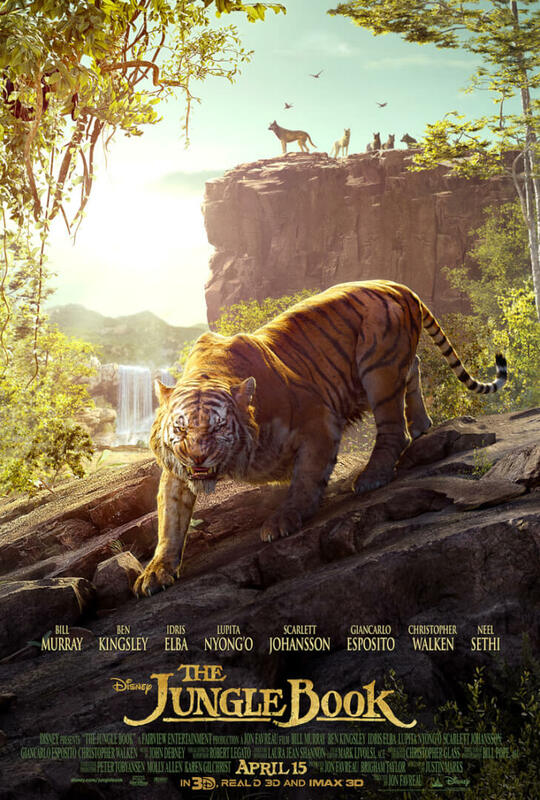 The film features a diverse voice cast including Bill Murray, Ben Kingsley, Idris Elba, Lupita Nyong’o, Scarlett Johansson, Giancarlo Esposito, Neel Sethi and Christopher Walken. According to Disney’s press release, “‘The Jungle Book’ seamlessly blends live-action with photorealistic CGI animals and environments, using up-to-the-minute technology and storytelling techniques to immerse audiences in an enchanting and lush world”.